In December 1648, in an episode that became known as Pride’s Purge, a troop of soldiers headed by Colonel Thomas Pride forcibly removed from the Long Parliament all those who were not supporters of the Grandees in the New Model Army and the Independents. Thus weakened, the remaining body of MPs, known as the Rump Parliament, agreed that Charles should be tried on a charge of treason. Cromwell was by that time in the north of England, dealing with Royalist resistance, when these events took place, but then returned to London. On the day after Pride’s Purge, he became a determined supporter of those pushing for the King’s trial and execution, believing that killing Charles was the only way to end the civil wars. Cromwell approved Thomas Brook’s address to the House of Commons, which justified the trial and execution of the King on the basis of the Book of Numbers, chapter 35 and particularly verse 33 (“The land cannot be cleansed of the blood that is shed therein, but by the blood of him that shed it.”). The death warrant for Charles was eventually signed by 59 of the trying court’s members, including Cromwell (who was the third to sign it). Though it was not unprecedented, execution of the King was controversial, if for no other reason due to the doctrine of the divine right of kings. Thus, even after a trial, it was difficult to get ordinary men to go along with it: “None of the officers charged with supervising the execution wanted to sign the order for the actual beheading, so they brought their dispute to Cromwell…Oliver seized a pen and scribbled out the order, and handed the pen to the second officer, Colonel Hacker who stooped to sign it. The execution could now proceed.” Although Fairfax conspicuously refused to sign, Charles I was executed on 30 January 1649. After the execution of the King, a republic was declared, known as the “Commonwealth of England“. The “Rump Parliament” exercised both executive and legislative powers, with a smaller Council of State also having some executive functions. Cromwell remained a member of the “Rump” and was appointed a member of the Council. 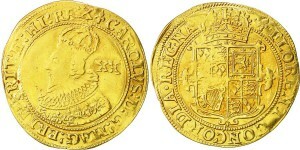 In the early months after the execution of Charles I, Cromwell tried but failed to unite the original “Royal Independents” led by St John and Saye and Sele, which had fractured during 1648. 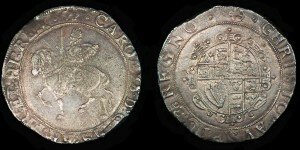 Cromwell had been connected to this group since before the outbreak of civil war in 1642 and had been closely associated with them during the 1640s. However, only St John was persuaded to retain his seat in Parliament. 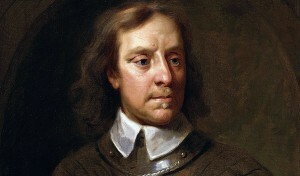 Cromwell was selected to take command of the English campaign in Ireland in 1649–1650. 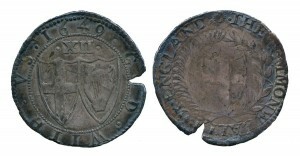 Cromwell’s forces defeated the Confederate and Royalist coalition in Ireland and occupied the country, bringing to an end the Irish Confederate Wars. During this period, a series of Penal Laws were passed against Roman Catholics (a significant minority in England and Scotland but the vast majority in Ireland), and a substantial amount of their land was confiscated. Cromwell also led a campaign against the Scottish army between 1650 and 1651. On 20 April 1653, he dismissed the Rump Parliament by force, setting up a short-lived nominated assembly known as Barebone’s Parliament before being invited by his fellow leaders to rule as Lord Protector of England (which included Wales at the time), Scotland, and Ireland from 16 December 1653. As a ruler, he executed an aggressive and effective foreign policy. Cromwell is thought to have suffered from malaria and from “stone”, a common term for urinary and kidney infections. In 1658, he was struck by a sudden bout of malarial fever, followed directly by illness symptomatic of a urinary or kidney complaint. The Venetian ambassador wrote regular dispatches to the Doge of Venice in which he included details of Cromwell’s final illness, and he was suspicious of the rapidity of his death. He died at age 59 at Whitehall on Friday 3 September 1658, the anniversary of his great victories at Dunbar and Worcester. He was buried with great ceremony, with an elaborate funeral at Westminster Abbey based on that of James I. He was succeeded as Lord Protector by his son Richard. Richard had no power base in Parliament or the Army and was forced to resign in May 1659, ending the Protectorate. There was no clear leadership from the various factions that jostled for power during the reinstated Commonwealth, so George Monck was able to march on London at the head of New Model Army regiments and restore the Long Parliament. 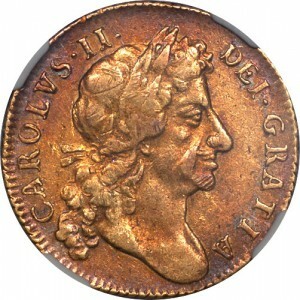 Under Monck‘s watchful eye, the necessary constitutional adjustments were made so that Charles II could be invited back from exile in 1660 to be King under a restored monarchy. Cromwell’s body was exhumed from Westminster Abbey on 30 January 1661, the 12th anniversary of the execution of Charles I, and was subjected to a posthumous execution, as were the remains of Robert Blake, John Bradshaw, and Henry Ireton. His body was hanged in chains at Tyburn, London and then thrown into a pit. His head was cut off and displayed on a pole outside Westminster Hall until 1685. Afterwards, it was owned by various people, including a documented sale in 1814 to Josiah Henry Wilkinson, and it was publicly exhibited several times before being buried beneath the floor of the antechapel at Sidney Sussex College, Cambridge in 1960. The exact position was not publicly disclosed, but a plaque marks the approximate location. Many people began to question whether the body mutilated at Tyburn and the head seen on Westminster Hall were Cromwell’s. These doubts arose because it was assumed that Cromwell’s body was reburied in several places between his death in September 1658 and the exhumation of January 1661, in order to protect it from vengeful royalists. The stories suggest that his bodily remains are buried in London, Cambridgeshire, Northamptonshire, or Yorkshire. The Cromwell vault was later used as a burial place for Charles II’s illegitimate descendants. In Westminster Abbey, the site of Cromwell’s burial was marked during the 19th century by a floor stone in what is now the RAF Chapel reading: “The burial place of Oliver Cromwell 1658–1661”.